In the United States approximately one third of all traffic related deaths are associated with drunk driving. Mothers Against Drunk Driving (MADD) and the Centers for Disease Control and Prevention (CDC) have reported an increase in Florida drunk driving fatalities. Along with approximately 14 percent more fatalities than last year, the CDC reported that Florida exceeds the national average of adults being reported for driving after drinking too much. The rising number of drunk driving related deaths has led to the state taking a harsher stance against driving while impaired. 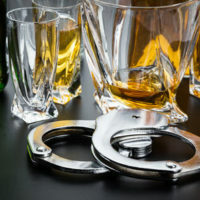 Drivers who are arrested for drunk driving must understand Florida DUI repercussions in order to defend themselves properly against the charge. Penalties for being convicted of a DUI in Florida do not stop at imprisonment and fines. Individuals who are found guilty receive license suspensions, have their vehicles impounded, and may not be eligible for hardship licenses. Without a driver’s license or vehicle adults might lose valuable income and risk permanently losing their job. Worse, if an individual is harmed or property is damaged a driver might find themselves charged with a misdemeanor or felony. If you or someone you love is arrested for a DUI, the Mander Law Group can help. Attorneys who have previously handled DUI cases in Florida are able to provide you with the assistance you need to fight the charges. Conveniently located in Dade City and Zephyrhills, DUI defense attorneys are able to provide a free consultation to discuss your personal needs. Call the Mander Law Group at 352-567-0411 (Dade City office) or 813-948-1422 (Zephyrhills office) today to schedule your appointment.